It sounds like the two heroes plan to take their conflict all the way to the Supreme Court. I'll cut to the chase. In a press release issued minutes ago, it was revealed that Batman versus Superman has begun filming, and further, that is has an official title. 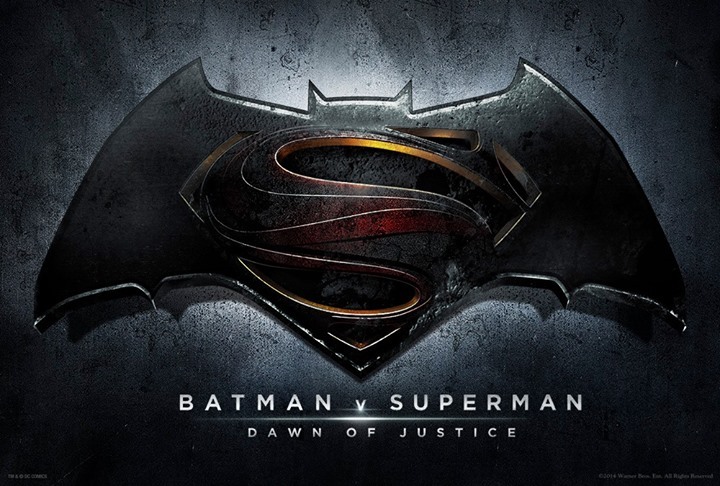 The Man of Steel sequel will be called "Batman V Superman: Dawn Of Justice". Setting aside the "Dawn of Justice" part for a second, let's focus on the fact that the title uses the "v." abbreviation seen in federal court cases. Clearly, the film will feature thrilling scenes of Wayne Enterprises lawyers duking it out with the Daily Planet's legal team in front of the Supreme Court. Maybe Scalia retires, and Lex Luthor is appointed to the highest court in the land. Obviously this means Lexcorp's fracking interests will be secure for the foreseeable future. Perhaps it will end up like the Scopes Monkey Trial, but instead of concerning the right to teach evolutionary biology to Tennessee students, it'll be about the right to teach Kryptonian solar-powered abilities as a fact rather than as a theory. Then again, perhaps it'll be a freedom of information case, with Wayne Enterprises demanding Superman reveal his secret identity, and The Daily Planet demanding W.E. turn over evidence they've been creating unmanned drones intended to spy on American citizens. Of course, you can't discount the possibility that that the Kent's adoption of baby Kal-El will become an issue. I'm certain Wayne Enterprises lawyers can argue it wasn't legal, since he wasn't registered as an alien visitor when his ship crash-landed, which puts Clark at serious risk of being convicted of voter fraud. The possibilities are endless! Honestly, Batman V Superman: Dawn Of Justice is perhaps the most generic and nonspecific title the production could possibly have chosen. It sounds like the kind of thing advertising executives would come up with for a series of tie-in toys included with a Burger King kids meal. Were "Batman V Superman: Rise Of Heroes or "Batman V Superman: Beginning Of Power" already taken? Probably. Yes, obviously, this is intended to tease the formation of The Justice League. That doesn't make it less nebulous. But, as principal photography has begun, this is the Man of Steel sequel title we're getting, even if it's not the one we deserve right now. But that doesn't mean we can't pretend otherwise. Why not drop your suggestions for alternate titles in comments. BURBANK, CA, May 21, 2014 - Filming is underway on Warner Bros. Pictures' "Batman v Superman: Dawn of Justice," the highly anticipated action adventure from director Zack Snyder, starring Henry Cavill in the role of Clark Kent/Superman, and Ben Affleck as BruceWayne/Batman.